An Akashic Record Reading Brings Clarity To Your Life’s Purpose, Assists In Clearing Emotional And Relationship Blocks, And Deepens Your Connection With The Divine. The Akashic Records Are A Dimension of Consciousness That Contains A Vibrational Record Of Every Soul And It's Journey. 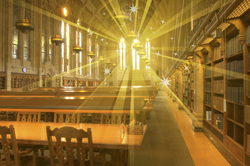 Some refer to it as a library of light where one can access all information. The records are organized in a way that allows us access through words, visions, symbols and feelings. During this reading, your Akashic Record is accessed with your permission on your behalf. The information that comes through is relevant to what you need to hear right now. An Akashic Records reading allows you to ask specific questions you may have about your life, your past or your future. It will reveal your truth and give guidance on how to discover and apply your gifts. The messages come from a place of pure love and light.